The jaguar has his foundation when the French Air Force in the 60 years his T-33, Fouga and Mystere IV aircraft wanted to replace. The British Royal Air Force was also looking for e new aircraft and both requirements were mostly the same. 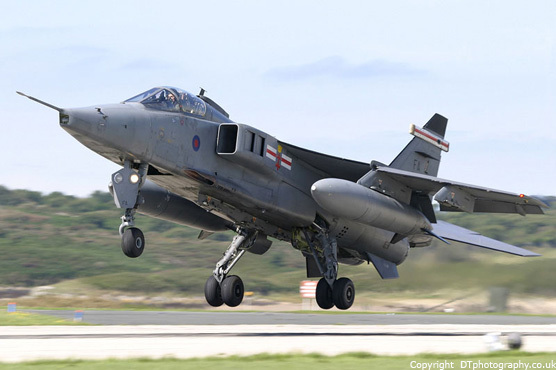 The 2 countries formed a corporation under the name SEPECAT (Société européenne de production de l’avion d’école de combat and d’appui tactique) for the development of a new low-altitude combat and training aircraft The first Jaguar (a prototype) flew in 1968 and the first jaguar came operational in 1972. 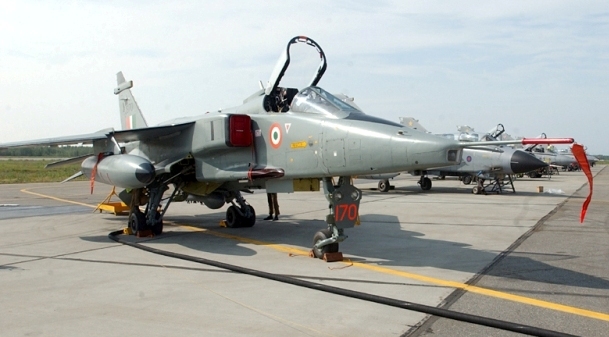 Both countries ordered a total of 403 aircraft. Both countries flew different version. 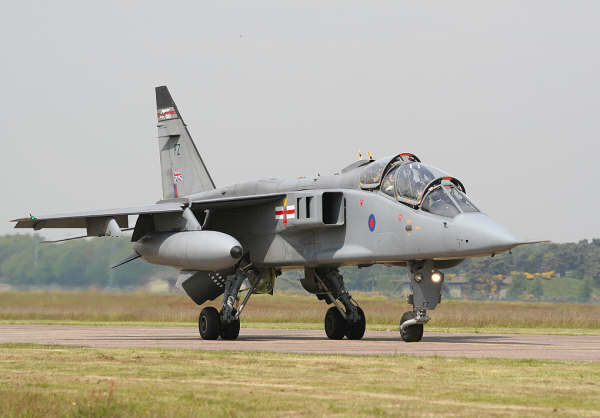 The Jaguar has also been bought by Oman, Nigeria, Ecuador and India (116). The delivering of the 200 jaguars for the British Royal Air Force started in 1973. The jaguar was in in his top service by 8 squadrons ( attack, reconnaissance and training). 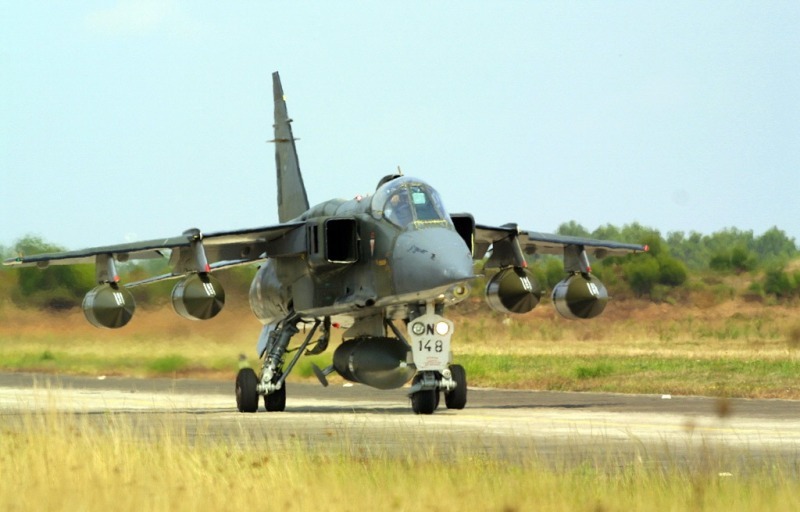 The jaguar has a self-designation capability using Thermal Imaging Airborne Laser Designator (TIALD). A few time ago the jaguars have been updated and are designated with Jaguar GR3 and Jaguar T4 (double seater). These updated contains: GPS, terrain referenced navigation, night vision goggle, extern and intern lightning, helmet-mounted sight, the ability to fire ASRAAM missiles and a head-up and head-down display for the pilots. These 2 systems project main flight data and combat data on a window mounted before the pilot. With this, the pilot doesn't have to look all the time into the cockpit, which is crucial in combats. 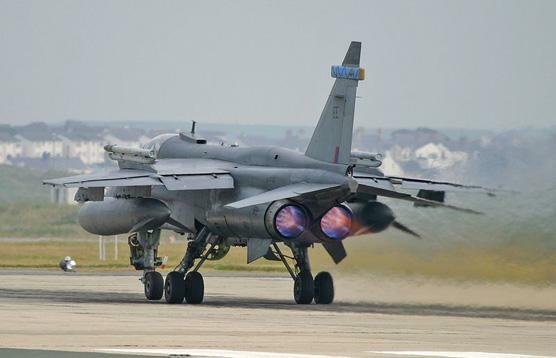 The RAF Jaguar can be armored with: CVR7 rockets, 1000lb dumb bombs, BL755 and Rockeye cluster munitions, paveway II and paveway III laser guided bombs and it has a internal 30mm cannon. The jaguars were used during the invasion of Iraq 2003 but are taken out of service due to financial costs and the new Eurofighter Typhoon. The last Jaguars were withdrawn from service in 2007.